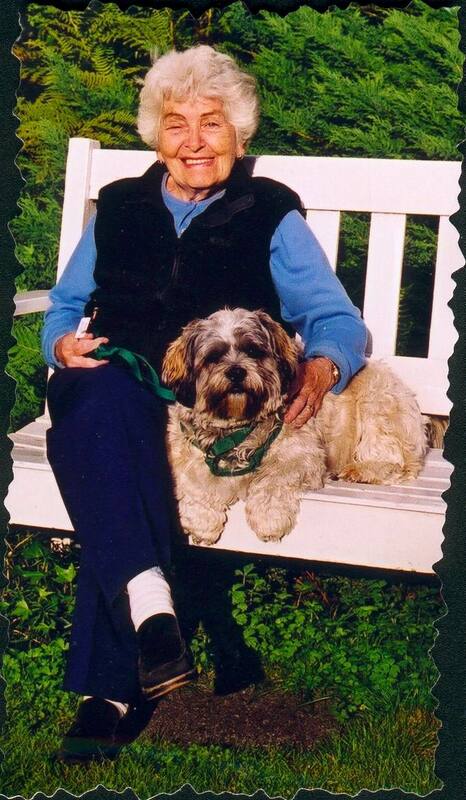 Teddy was Peggy's (Wendy's mother ) loving companion for 5 years. When Peggy went into care Teddy was adopted by our friend Walter. Walter has loved and pampered "Teddy" for the last 6 years. 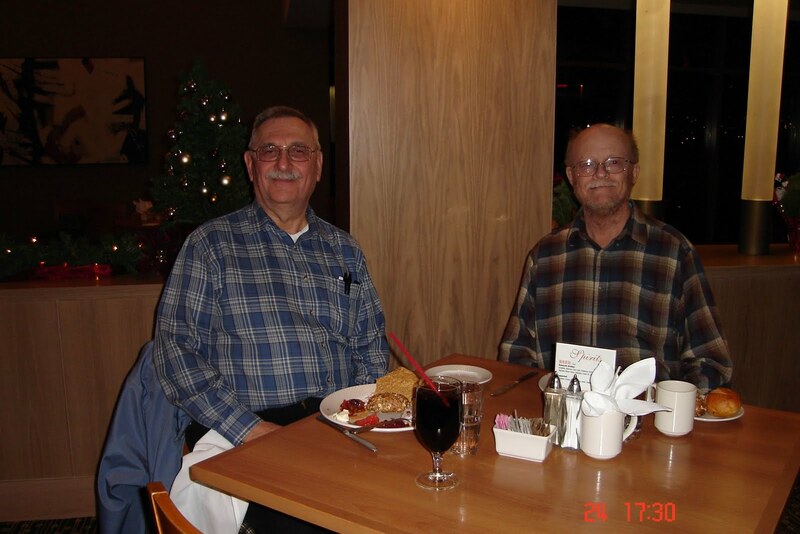 Walter cooked special meals for him walked him daily and Gary T's Pub even built a special patio so that they could hang out at the local pub together. 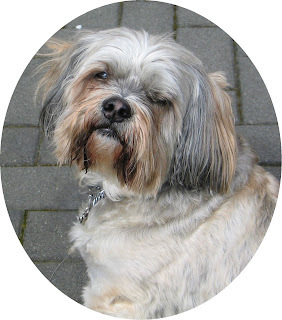 I always visited the pub with my dogs and so did several other friends. Teddy had a life of privilege and happiness. He will be missed by Walter now that he has gone to join Peg. We had extensively rebuilt our lakester last spring to include a covered cockpit and full body extension at roll cage height to the rear of the car... and also included the installation of a Dodge Nascar R5P7 engine. well, did not perform correctly at Bonneville Speedweek this past summer. It seems that the car was not handling correctly- specifically, the car seemed to be jumping sideways in either direction pretty much at random. Calvin Dirks, who has been driving for the last few years, was saying that he was afraid to go any faster than he was going- about 180 MPH. We tried several things to straighten it out- all to no avail. As much checking as we could do at the salt seemed to indicate that we had a bent rear axle housing, making the rear tires toe out by perhaps 3/16".... This was a recent built, 6" wider axle than we had run in the past. And we had built it ourselves .... so I guess we messed it up on the housing jig somehow. To say the least, we too left Bonneville feeling a little dismayed. So, a couple of weeks later, Steve, Calvin and I had a meeting about the car (and we had beers too, of course). The discussion centred around what exactly was wrong. 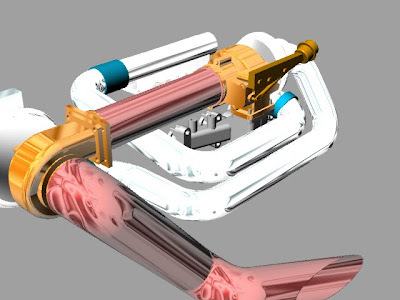 We decided to build yet another new rear axle housing, using all new Currie components. (Currie is a Bonneville person incidentally).... This time, the housing checked out perfectly for alignment. After installing it in the car, we also decided that our transmission needed to be looked at as it seemed to be "clicking" too loudly as it was turning. 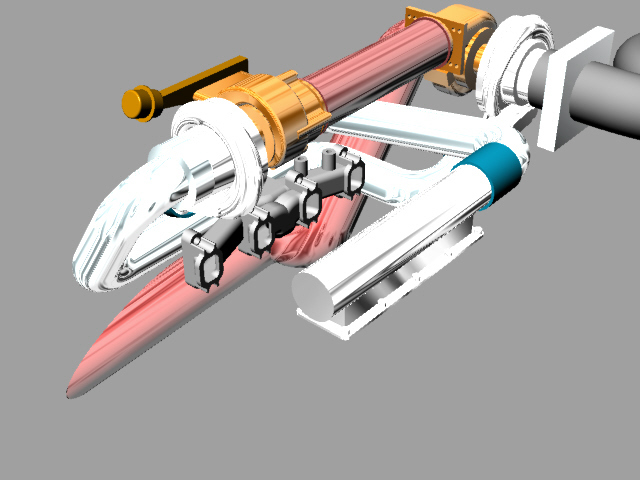 We discovered that we had two identical gear pairs (ratio and appearance wise anyway) that we somehow mixed up one main-shaft gear from one pair with the cluster shaft gear from the other pair. We have a mesh checking jig on which we test these gears and discovered that there was no gear backlash on the "pair" in stock and that "pair" also clicked loudly when turned together on the jig. Upon disassemble of the transmission, the gears were swapped around, and on the jig, they worked correctly- now with backlash and no more clicking. The transmission was reassembled and put in to the car along with the rear axle re-installation. This was about mid September when all this took place... as the work progressed a thought of one of us was spoken out loud.... "It sure would be great if we could take the car down to the Wold Finals and check it out to make sure we fixed the problem".... Funny part of that was- We were all thinking it! So, we emailed in an entry, and credit card info to pay for it of course, and then the next week, we got ready to go. The weather was looking to be a bit on the inclement side and we kept our collective fingers crossed, so to speak. We made it there late Wednesday morning- discovering that there had been rain overnight. However, the meet had already started by then and cars were running..... The area back toward the highway was under some water and the cars had to be pushed through some sloppy stuff to get to the starting line but the starting line and the course WERE in otherwise good shape!. We got through tech that afternoon just in time for another squall to roll through, so we made no run(s) the first day.... this was not such a bad thing really as we were all tired and I was still having ticker trouble.... after a nonstop drive to Wendover and being at the salt all day, an early to bed evening was definitely in order. The weather more or less co-operated overnight with little rain and none hitting the course. After fuelling and sealing the tank we made our first run on Thursday afternoon. Calvin got the car up to 245 MPH and was ecstatic that the car was going straight! We made a second run and the car went 264 MPH! We called it an early day again on Thursday and went back to town by 5:00PM. After a few beers, we were talking (in hushed tones, of course- the Gods of speed seem to frown on presumptuousness) about making the car go faster. We made our third run on Friday, early in the afternoon..... 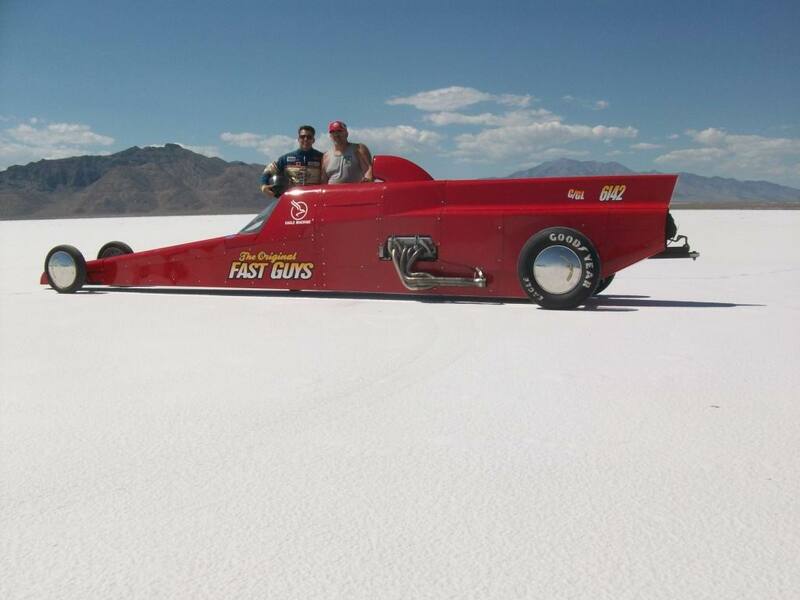 The car went 275.65+ MPH which qualified it for the record! 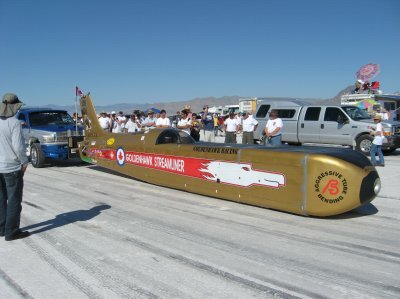 The old record was 273.400 MPH...... at the end of the course, when we got to Calvin and the car, though, something was amiss..... two things actually.... one of our front tires had gone flat and the parachute had gotten all torn up during deployment, although it had brought the car to a stop. We have a draw bar that we plug into a trailer hitch receiver welded into the front of the car (covered by the removable nose of course). So, several of us grunted the car up on to the truck trailer hitch and we towed the car to impound. Several of the boys did everything they could to ensure that we were good to go the next morning while I disassembled the spindle mount Cragar Supertrick wheel to change the tube (and yes I had spare tubes!)..... Record runs the next morning saw us there well before daybreak (the meet WAS in October and the daylight hours are fewer than during Speeweek).... Under a lot of vehicle headlights we, as well as everyone else, got ready for the big event. 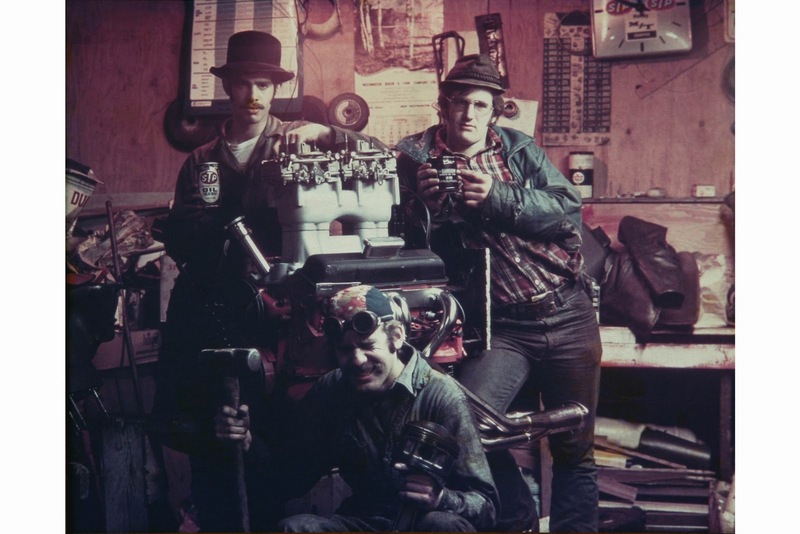 The oil was heated and the pressure was primed, the engine was started and brought up to operating temperature and we were ready to push down to the starting line. As our turn came up, the driver was suited and put in the car, the engine was fired again, seven bags of ice were added to the cooling system (we use 10 or more during the hot weather) and we were ready to push off.... As the car was pushed to 65 MPH, and Calvin saw the 1/2 mile mark coming up, he engaged the clutch and took off.... all we could do is get to the other end and listen to the radio.... 251+ MPH in the 1/4 mile- WOW!... 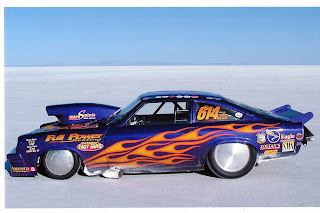 259 MPH, 271 MPH, 275.7+ MPH and out the back door at 282 MPH!!!!!!!! A NEW RECORD!!!!! AND A NEW 200 MPH CLUB MEMBER FROM CANADA!!!!!!! FROM OUR TEAM!!!! THAT MAKES FOUR OF US NOW!!!!! 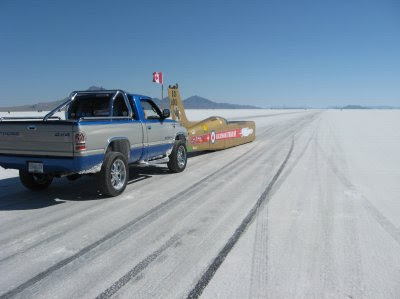 RECORD SPEED WAS 275.674 MPH!!!! ......and all we had started out wanting to do was test the car to see if the handling problem had been rectified..... Well, we came home floating- feeling like it anyway.... and talking about how much more we can possibly have in this setup..... We know that we will need several hundred pounds of extra ballast for traction as the car was getting a little loose as it went into the higher speeds. We also know that we can get about 50 more HP by going to a dominator carburetor from the Holley 830 CFM Nascar carburetor. The engine will also rev higher with the bigger induction and will need better valve springs.... Can we go 300 MPH?.... It remains to be seen. Anyway, how are things with the Goldenhawk?..... Are you getting the fire damage repaired? the ORIGINAL FAST GUYS did it again! Remember these guys, the guys? 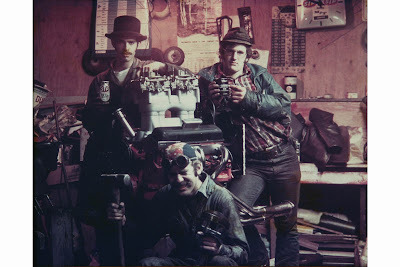 Some of you correctly identified them last year (Yvonne from AGGRESSIVE TUBE BENDING), as Eric Langstroth, Dave and Steve Green. Well they are back and this time not with the 250+ mph Vega. I am posting a letter I got from Dave Green yesterday. 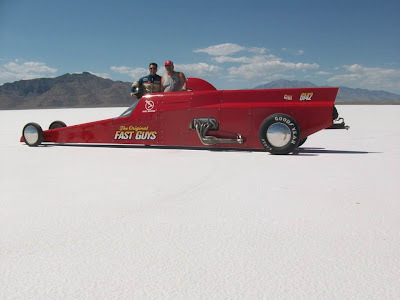 There is one more fast guy to add to the bunch, That"s Calvin Dirks, he is the driver of the new 280+ mph red Lakester. Larry "almost my cousin" points out all the custom made parts to keep this street legal. Couple of skinny tires out back to help rotate the earth when LARRY mashes the Loud Pedal! Now this is a real HOT ROD ; nice work Larry Hicks of Abbotsford BC. The Goldenhawk team now have a 1 ton Dodge 3500, 4 door, dual wheeled, truck with a special heavy duty canopy complete with custom built stainless steel rack. 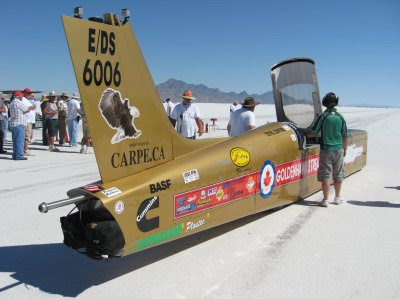 No more white knuckle flights to Bonneville and we will be able to transport the car locally without depending on others to drop everything and help us. Perhaps later we will get our paint sponsor to match the color of truck body but for now I am delighted. Kevin Knox of http://www.diversions.com/ designed the new set up on his computer in 3D, also sourced the materials and is fabricating it as of this week. We are soooo lucky to have this talented guy on board with the Goldenhawk. Note that he has shown it as it will be but has deleted the engine itself from the photo. This is a look at what South Bend Clutches mud bogger looks like. This set up they built on our "sister" engine that was also built by Piers Harry and has all the same stuff as ours. However, theirs makes 45 - 50 lbs boost at the line and approaching 100 lbs at the other end. It almost tore up the dyno during a test. You can see all the videos of this google South Bend clutch mud bogger or search it on you tube. One hell of a wild 4 banger. 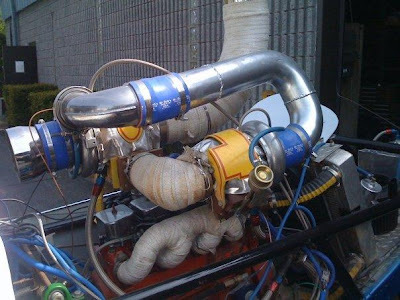 This is a modified Cummins manifold. I ported and polished it then KOOL COAT ceramic coated it . 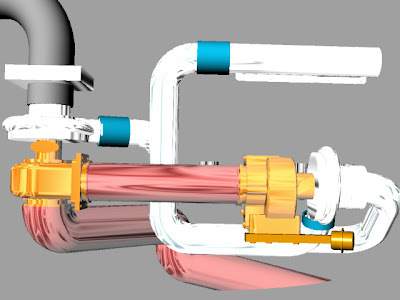 When ZOLTAN BOD of ZOLTAN'S PORTING SERVICE checked it on the flow bench it flowed within 85% of a short straight header pipe. This is now going on the engine. This is the current set up in which we used the HOLESET supplied HX40 and the manifold I designed and the team built. It as I mentioned is highly suspect of the reason that we are not getting boost pressure and therefor no horsepower and limited rpm. 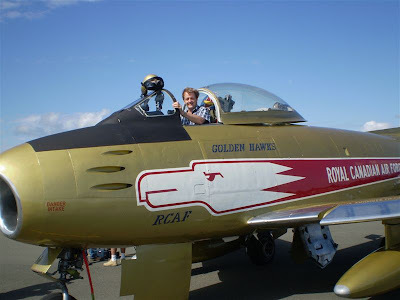 Reg's younger brother was also in the RCAF in the 60's seen here in HAWK ONE. He lives in Victoria BC. Airforce in the family genes! Steven Poole is a retired ship's Captain and his son is the chopper pilot that gave Reg /Bud/RJ his send off flight. Passed away 18 October 2010 at age 69. Born 24 December 1940 in Halifax Nova Scotia. His father was in the RCAF and like his father and younger brother he joined the Royal Canadian Air Force. 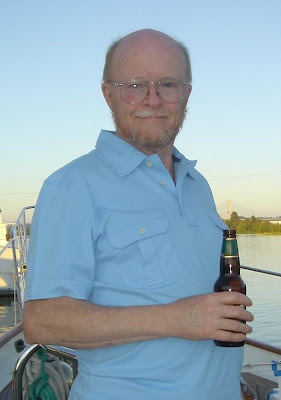 he was always a Scientist and served as a photographer in the air force before working a full career in the crime lab of the RCMP in Vancouver, BC. Known to his family as Bud and to he rest of us as Reg or RJ, our quiet and lovable friend. I met Reg July 1962 in Ottawa, RCAF Stn. Rockcliffe we shared a room in the barracks and worked at the White House. We always kept in touch and when he moved to Vancouver were lived only 3 blocks from each other. I took Reg to his first (and likely only) drag race in Arlington Washington. He brought a young lady, Barbara, and later that year I gave the bride away at their wedding. His brothers and family hosted a memorial to him 24 Oct. in Richmond and there was a large attendance. His brothers (youngest)Steve and David, and family shared great stories of his life. Bryan Howson , RJ's best friend also a photo type from Rockcliffe, spoke and read a passage from the Bible, others paid tribute by singing songs he loved and relating great memories of him. His ashes were carried to the Sunshine coast by his nephew piloting a helicopter, a fitting last flight for a great guy. whether you called him, Bud, Reg or RJ he was a great guy, loved by all that knew him and he will be missed! GOD SPEED my ol' Buddy! has passed from this world to the next. 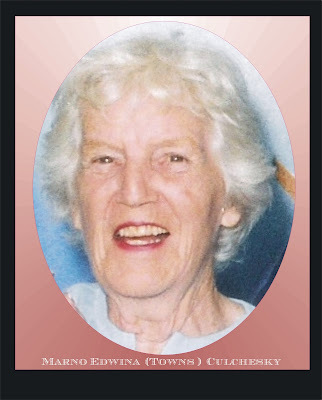 to her family and friends. When we stopped for dinner and a rest in Twin Falls Idaho, Bryson was still grinning. We stopped for the night in a hotel at Boise and in the morning we headed home arriving safely in Surrey at about midnight. We were burnt, beat, tired and broke but the conversation was all about what we needed to do to set the record next August. This team is typical of adventurous people with a Passion for speed and a healthy dose of SALT FEVER. 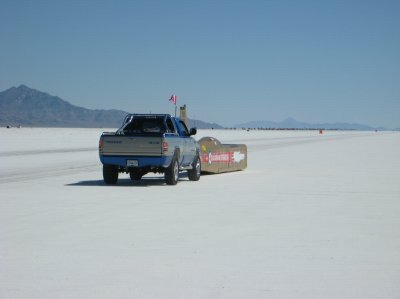 A special thank you to the salt team and the supportive families that enable us to do this thing called LAND SPEED RACING. , he was loving it! Thursday in the early afternoon with Kevin wheeling the beast we wave goodbye to Wendover Will and head back home. Werner follows us to provide assistance in the event of breakdown and Deans rides his Victory grinning and soaking up the sun. Bryson was quick to compile a list of the damage. Then we folded our pit said goodbye to (the Doc), Glenn and Les, as they were leaving to continue their vacation. The rest of us then headed to Wendover to shower and rest up in preparation for the loading and journey home tomorrow (Thursday). After we loaded up Irish, Alan Slattery started his journey to California where he spent the next month traveling and hanging with his friends. Body damage is actually repairable, however it may take a trip back to PLASTEC in Port Kells to get more flat ABS panels. Fortunately Plastec made some spares and we have several formed panels to repair the lower portion and the hood. It will take a plastic fabrication wizard like KEVIN ( see www.kevinknox.com ) to put humpty dumpty back in shape. This caused by not paying attention! Word to the wise "When you want to go well over 200mph, at a 130mph things still happen fast!" I learned several valuable lessons in the space of a very few minutes. First look at the FIREHAWK! The foam insulation sponsored and applied by GREER, certainly did it's job as the plastic body although sort of warped it didn't melt down or take fire. This was only one of the suggestions to come from our Fire Meeting and Cold Corona session. Some others were Blackhawk, Fire Chicken, Old Smoky and Crispy Critter just to name a few. As you can see the first order of business was to de-stress with a cold Corona from the Docs fridge. Kevin was healing himself and everyone was discussing the "incident" and a fellow racer is surveying the damage to the Goldenhawk. I want you to focus on the yellow decal in the last photo. Thanks to Mike Tonelli and his company ACME FIRE in Burnaby the car suffered only minor heat and smoke damage. Well here is my story and I am sticking to it! We left the line and Werner was concerned that I was not moving into the centre of the course, but as I said possible tire damage could happen. The car was driving like a Mercedes smooth easy to steer, and very comfortable. However, the boost was not developing so I began to focus on the instruments as I tried one nitrous injection controlled by the switch on the steering wheel. I was also turning the overdrive off and on to see if that made a difference. Nothing helped and as I cruised along at 130MPH, I think the wind died a little bit and the car drifted to the right approx 4-5ft, so when I looked back out the canopy there was a red course marker bearing down on the right front of the Goldenhawk. I tried to correct but never had time so I clipped the marker which made a thump but nothing seemed to be damaged so I continued playing dyno operator until at mile 4 I dropped the chute. Everything was going fine so I let it coast on the chute until just pasted our pits and then turned left. As the Hawk crossed the little ripples of salt between the graded course and the return road, a little wisp of smoke came out from the front of the hood panel. Ah- ha, I thought the transmission has burped and fluid is on the exhaust, no problem, a split second latter the smoke puffed out from another couple of panels. Should I pull the ACME Fire system? Decided not because it would mean a delay to get them refilled. One more nanosecond later smoke is coming out everywhere, pull the engine fire system turn off the main electrical switch, apply heavy brakes. Now the smoke is pouring into the cockpit, the thickest brown smoke you ever could imagine, pull the cockpit fire system, unlatch the belts, canopy release and prepare to bail out. The car is still moving but stopping quickly as I free up the shoulder belts, I can only see the inside of the helmet, the smoke is that thick! Now comes the real lesson, I remembered during the safety inspection when we were doing bailout procedures with the new HANS device that the belts sort of hang up as they slide over the shoulders, so I took my right hand and the left belt giving it an exaggerated swing up to clear the device. Oops now the smoke is coming in the breath!! I have knocked the fresh air tube from the helmet. The words death by smoke inhalation flashed to my brain (too many aircraft accident reports as a kid in the RCAF). I try to hold my breath as I push open the canopy, but I am filled with adrenaline and control of the respiratory system requires concentration and my concentration is focused on getting OUT! Remember this is all happening in about 4 to 5 seconds. As the canopy opens the smoke raises and I see the grill of the fire crew's truck coming to a stop. The fire guys helped me out and proceeded to spray fire extinguishers into any openings they could find. Thanks to Wendover Fire Dept and all the volunteers that dedicate themselves to our safety. I will have a video prepared/edited soon to post for you to see as Dean captured some of it on his camera as he was on the scene from the pits and Kevin was videoing from the push truck. After more than hour wait, we are finally off to make another test run. The set up on the drive train is, OTT doubler set at 1:1 the transmission overdrive will be engaged. We are hoping this will help develop some boost. However, we discover later that the video cameras timed out/ ran out of memory just as we were about to leave the start. Sorry, our mistake, next time we will turn them on later and maybe there will not be an extra hour of sitting in the stage lanes. Werner does a great job of following me as we set our position to run near the right side marker. The starter has cautioned me to that course because of the possibility of glass on the course from the wreck. Oh yes there is a 10mph side wind from the East (right) and this year there was no black line at the edge of the course but extra markers. Just as we pull up to make our run the car ahead of us has had a slight mishap. The starter say no one is injured but we will have to wait while they clean up the debris. In true military fashion it is HURRY UP & WAIT! The Doc and the crew are stuffing the fat guy in the blue suit in the cockpit and belting him up so he doesn't flee. This is Terry Nish's Royal Purple streamliner, very nice creation and extremely fast. Kaptain Kevin Knox and Werner Sprenger co-driver and partner in the project since the beginning, were getting a lot of attention. I think it is the Canadian flag! Ready to push out for Wednesday run. BC fan has very respectable ride! The Doctor is in the Pits! Agnew Bailiffs prepare for test run. Agnew Bailiffs & Financial Adjusters Ltd.